Be a part of the biggest home & gardening event in Texas! 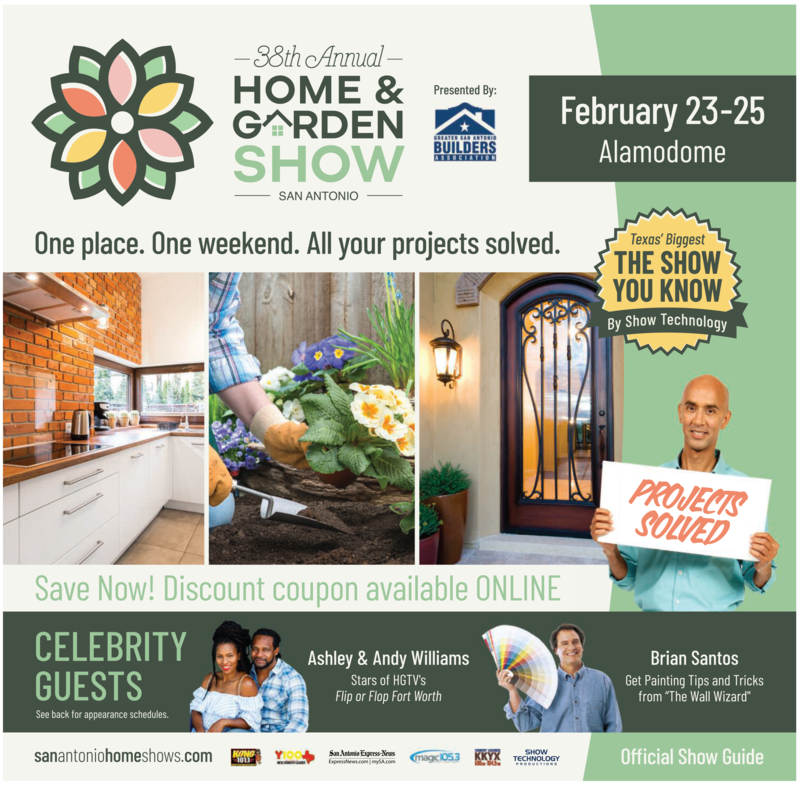 Show Technology, the premier home and garden show producer, is pleased to announce the 39th Annual San Antonio Spring Home & Garden Show February 22 – February 24 at the Alamodome. The event will feature San Antonio’s finest builders and remodelers; gardens, landscapes and water features; Home Improvement Alley; pools, spas and outdoor living; interior design and home accessories; latest trends in kitchens and baths; wine and beer tastings and sales; a “Go Texan” area; Art, Gift & Gourmet Center; Interactive Kid's Zone; Pet Zone; and DIY seminars. Be a part of San Antonio’s largest home and garden show with an ad in the official 37th Annual San Antonio Spring Home & Garden ShowGuide. Thousands of homeowners and gardening enthusiasts are sure to see your advertisement as they visit one of San Antonio’s most popular shows! The San Antonio Express-News will distribute the show guide on Friday, February 22 inside mySA, reaching an estimated 248,237 readers. * Copies of the show guide will also be distributed to attendees at the show.